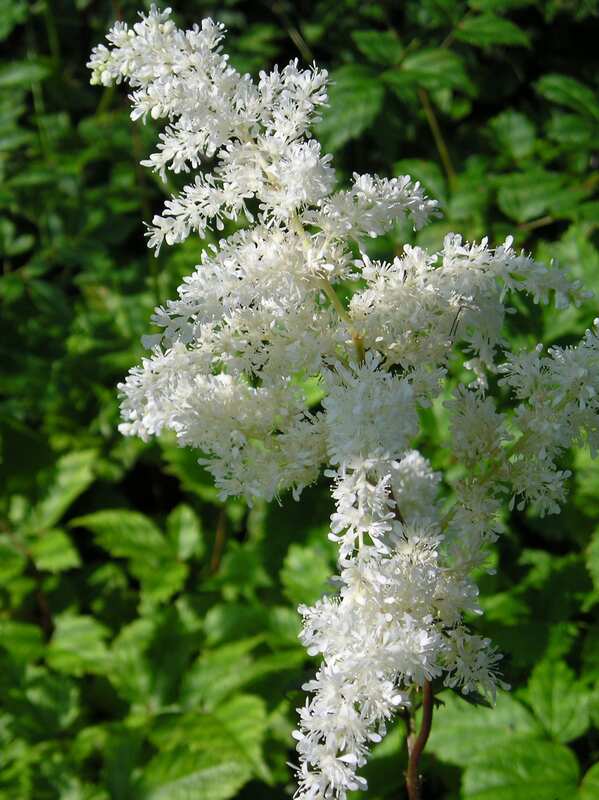 This lovely white form (Brautschleier = Bridal Veil) has lacy spires of white flowers in high summer and is particularly effective in dappled shade or by water. It must have a consistently moist or even boggy soil in summer. The leaves emerge early in the spring so it offers value over a long season, with seed heads giving additional autumn interest. AGM. Hardiness rating H7. Cut back hard to the ground in early spring, before the new growth starts. Plants can be propagated by division at this time and either potted or planted directly into the ground. Deadheading helps to promote new flower spikes. Pest and disease resistant. No staking needed. Excellent waterside plant but will grow just as easily in the border in a moist soil.